Expansion of the Garching Campus – one of the most important and modern research and education facilities in Europe. The “Neue Mitte” or “New Centre” will become the heart of the campus for the steadily growing circle of approximately 10,000 scientists and 9,000 students. 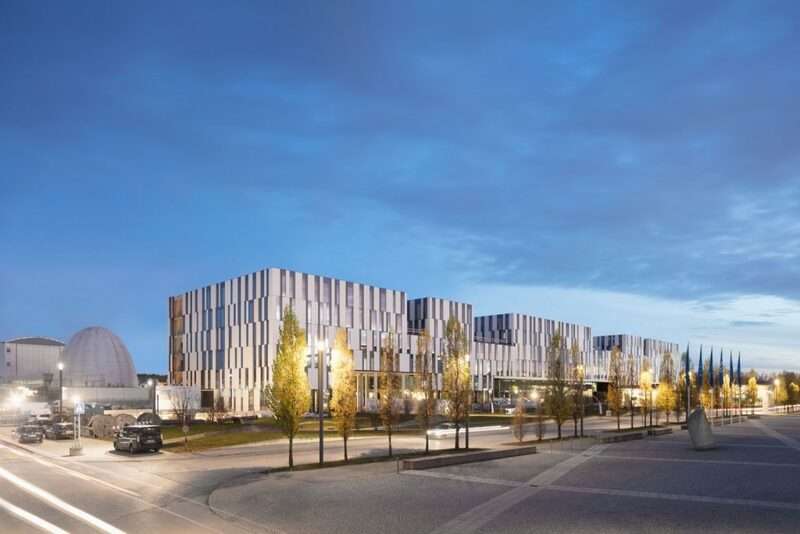 A congress centre with a hotel, high-quality offices for research-related companies and institutions as well as a variety of retail stores, restaurants and service providers will in future contribute to the attractiveness of the location. The complex is a set of interlocked L-shaped blocks that are more compressed on the ground floor, creating internal terraces and alternately bringing the western and eastern areas in to Neue Mitte. The three main uses of student and research life – office, science and living – are thus linked. The main auditorium forms the centre of the urban complex and offers a great view of the “Atomic Egg”. 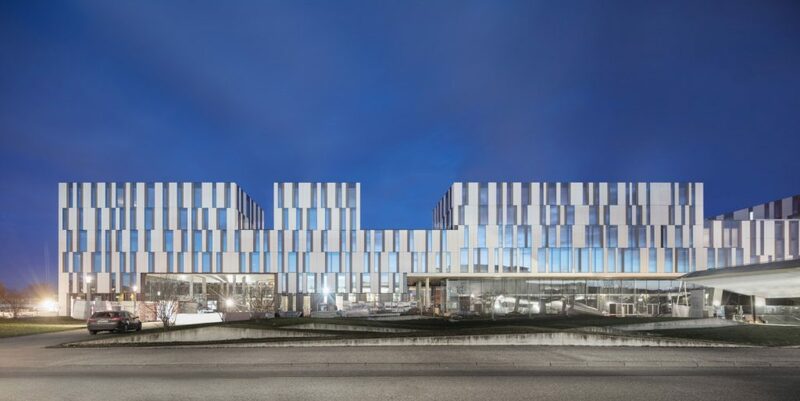 Our concept creates a future-oriented “science quarter” whose squares and streets provide high-quality spaces for both communication and retreat which are so important for knowledge transfer and informal communication in a modern working world.